CFISA’s new HIPAA and Cyber Security Awareness Employee Training course combines HIPAA compliance lessons and Cyber Security Awareness Training. The Center for Information Security Awareness (CFISA) announces a new healthcare employee training course that uniquely combines HIPAA compliance with cybersecurity awareness best practices. The course is designed to educate healthcare personnel on how to protect healthcare information and reduce cybercrime. It is based on the extensive traditional and cybersecurity experience of Michael Levin, CEO and Founder of CFISA. Levin is a former Secret Service agent and former Deputy Director of the National Cyber Security Division of the Department of Homeland Security. “This new HIPAA courseware teaches not only why, but also how to prevent a wide variety of cybercrime in healthcare,” Levin says. "Phishing and ransomware are significant risks to all industries and it is critical to educate employees on how their actions can contribute to data breaches.” The goal of this CFISA HIPAA course is to extend each employee’s awareness of their own role in securing healthcare information and helping to reduce costly cyber-crime. ABOUT HIPAA: The Health Insurance Portability & Accountability Act, or HIPAA, is a federal law that requires privacy and security safeguards on patients’ Protected Health Information (PHI). 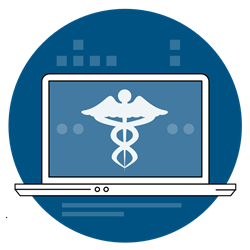 CFISA’s HIPAA online training includes eight lessons of up to date information on HIPAA compliance rules, along with specific ways to protect against cyber security threats in the healthcare workplace. All CFISA HIPAA lessons provide online training modules in a rich interactive media presentation that includes quizzing and a certificate upon successful completion. ABOUT CFISA: The Center for Information Security Awareness (CFISA), was founded by Michael Levin, a former Secret Service agent and Deputy Director of the National Cyber Security Division of the Department of Homeland Security. CFISA offers online and in person training courses on cyber security awareness; PCI (payment card data security standards) compliance; InfragardAwareness; and HIPAA compliance. CFISA customers include federal, state and local government agencies; colleges and universities; financial institutions; and small, medium and large enterprises. CFISA delivers online training in a variety of modes including Click and Train SaaS, customer-hosted in a SCORM compliant learning management system (LMS) format, branded LMS, or in-person training sessions.